Marisol Nichols’ Daughter Rain Turns Two! Happy second birthday Rain India Lexton! As promised in her final blog, Marisol Nichols has sent along photos from her daughter’s birthday party, held last weekend in Los Angeles. Celebrating in fairy-princess style with her parents, The Gates star Nichols and Taron Lexton, as well as Fisher-Price, the party was planned by Marisol’s dear friend, designer Melinda Brownstone. 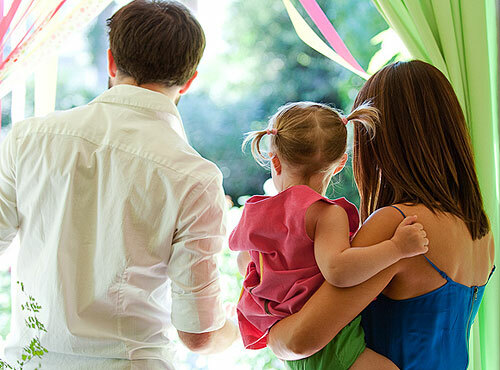 Set in the family’s backyard, the kids munched on organic baby veggies with homemade green-goddess dip and devoured fresh fruit skewers while their parents enjoyed an array of fresh crêpes. 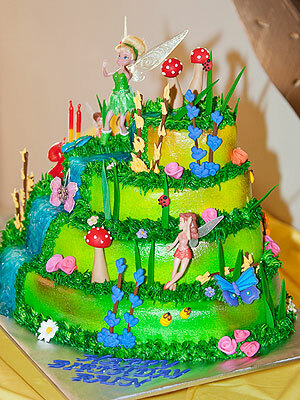 Before diving into the fairy-princess cake, family and friends serenaded Rain in a rousing rendition of “Happy Birthday”. 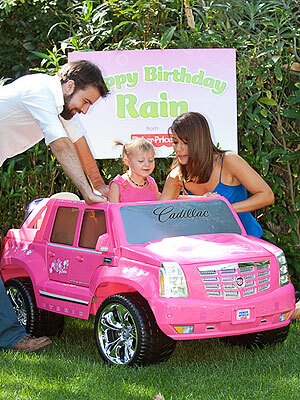 When it came time to open presents, Fisher-Price surprised Rain with her very own pink Barbie Cadillac Escalade. One of the many highlights of the day was the balloon man who fashioned custom balloons of all shapes and sizes – everything from Elmo to Tinkerbell – for each of the little partygoers. The best part for Marisol? A keepsake for Rain to remember all the fun she had with her friends: a framed canvas with tracings of each attendees’ handprints, along with their names and photos.